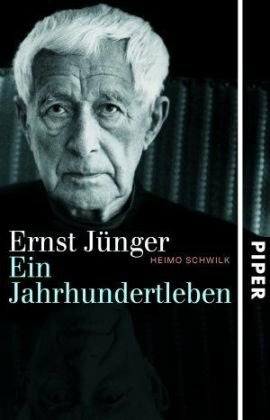 If you don't speak German well enough to read the two Jünger biographies that came out more or less simultaneously in 2007, then here at least is a good English review of Helmuth Kiesel's one, Ernst Jünger. Die Biographie. It is by Eliah M. Bures, Department of History, University of California Berkeley. P.S.S. 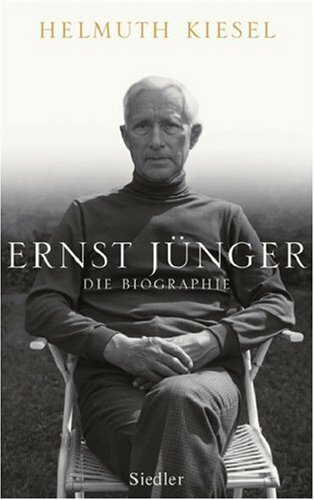 Infinitely better than any biography, go to the source and read Jünger yourself! There are far too many people who only know him from secondary sources and thus either respect him or disrespect him for none of their own reasons. If you want to discuss him here, we want you to refer directly to his work! Read his work 'Orages d'acier' (cool). I've been trying to find Euwesmil as you recommended me, but not possible, it's not on stock anymore in spanish. I'll have to try on the second hand stores... I hope. Good luck, César! I have a number of copies in English - got them for $10 each on sale at Chapters in Canada. Imagine --- like finding gold getting given away for free. But what a sad reflection on the reading public and the book sellers that this bible of wisdom is hardly available at all! I'm beggining to read '2666', the famous novel by Roberto Bolaño, from Chile. At the very begining of the book, one of the characters is a confessed amateur of Jünger. It may interest you. I'm not very sure if Bolaño writes a lot about our friend Ernst, but I'm pretty sure that these lines will interest you. May be you already hace knowledge of this fact. Thanks for the tip, I did not know. What sort of a character is the admirer of Jünger? He's a chief of a department of german litterature at a spanish university. He's aswell a translator. Jünger just appears as a fiction character and he's mentioned in a little ocassion, like descriptive argument of the novel.